Did all of you have a wonderful Christmas? It doesn’t get much better than spending the day with loved ones, giving gifts, playing games, and celebrating the birth of Jesus Christ. One of the best days of the year for me! Of course, if you’re like us, you have enjoyed an over abundance of sweets over the last few days and are suffering from sugar overload. If so, you need a hearty and delicious recipe like this Chicken and Biscuits Casserole. Packed with chunks of chicken and colorful vegetables, then topped with tender buttery biscuits, it is sure to satisfy even the heartiest of appetites! 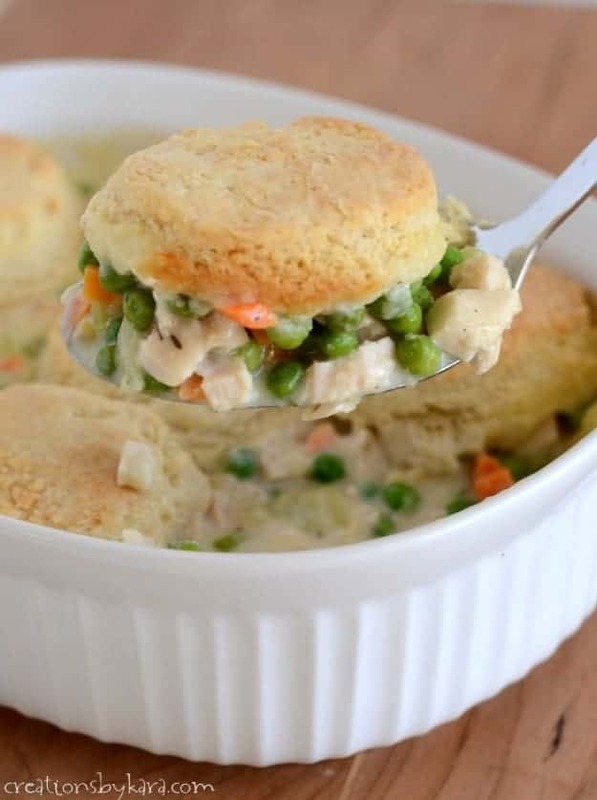 We like peas and carrots in our chicken biscuit casserole, but you can use any vegetables your family enjoys. Of course, if you have veggie haters at your house, you can just leave them out, serve them on the side, or just add a tossed salad to the meal. 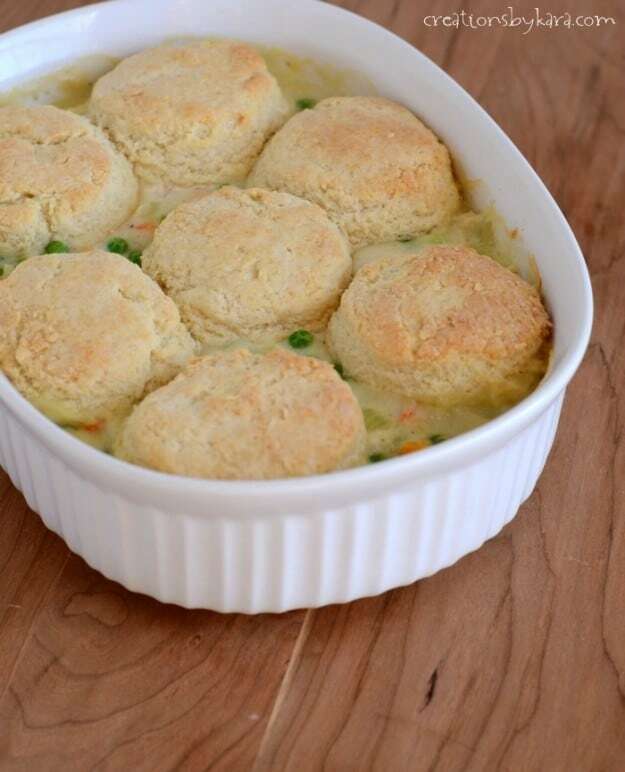 Chicken and vegetables in a creamy sauce topped with homemade biscuits. For filling: Melt butter in a large skillet over medium low heat. Add celery and saute till crisp tender. Whisk in the flour till it is all absorbed. Then whisk in the broth and milk. Turn heat to medium and continue cooking and stirring till mixture comes to a boil. Boil and stir for at least a minute. Add seasonings, chicken, and vegetables. Heat through and pour into a casserole dish or 9x13" pan. For biscuits: Whisk together the dry ingredients in a mixing bowl. Pour buttermilk into a 1 cup liquid measuring cup . Stir in the melted butter. 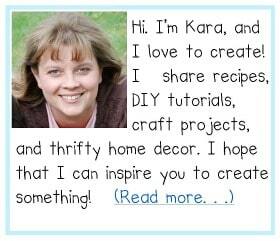 It will harden into little butter chunks-that's what you want. Pour the liquid over the dry ingredients and stir lightly. Pat out onto a floured surface until about 1/2" thick. Cut into circles and arrange over the filling. Bake at 400° for about 30 minutes, or until filling is bubbly and biscuits are golden brown.